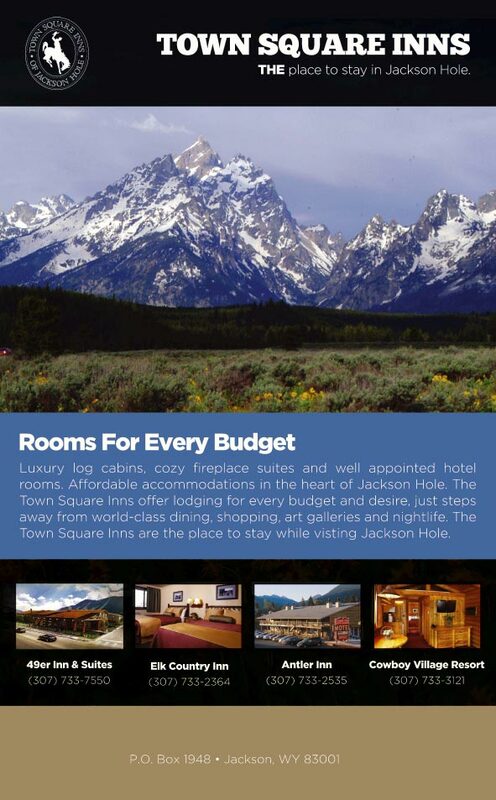 Due to the secluded area, multiple mature trees and being within walking distance to everything, I enjoy staying here. 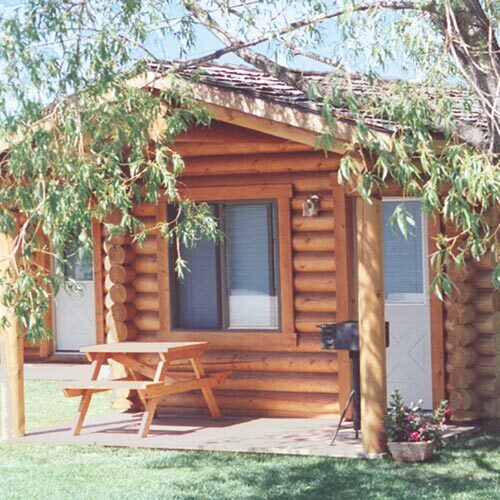 Near dining and specialty retailers, the concealed and landscaped village offers a selection of snug studio and one-bedroom log cabins which include a picnic table and seating on a covered porch. As an added bonus, all cabins have a sofa bed; some have queen-size bunk beds. The main building, which also houses the registration desk, has an upscale lobby, business center and exercise facility. The impressive floor-to-ceiling lobby fireplace is the perfect spot to sit down and relax for a spell. Smoke free premises. 84 efficiency cabin units. 1 story, exterior corridors. 0.4 mi w of Town Square to Flat Creek Dr, then just s. 120 S Flat Creek Dr 83001 (PO Box 38). hot tub, bicycles, picnic facilities, exercise room. coin laundry, area transportation-jhmr winter only. cancellation fee imposed, resort fee.